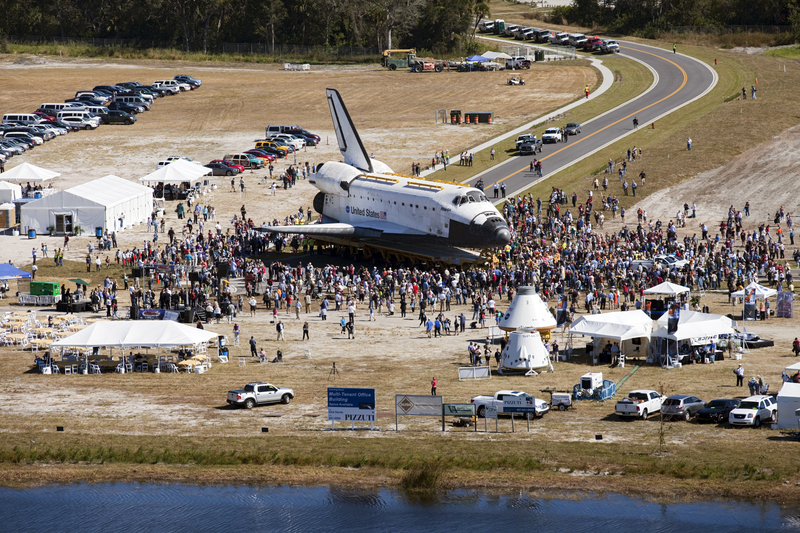 The Space Shuttle Atlantis has been moved to the Kennedy Space Center Visitor Complex. 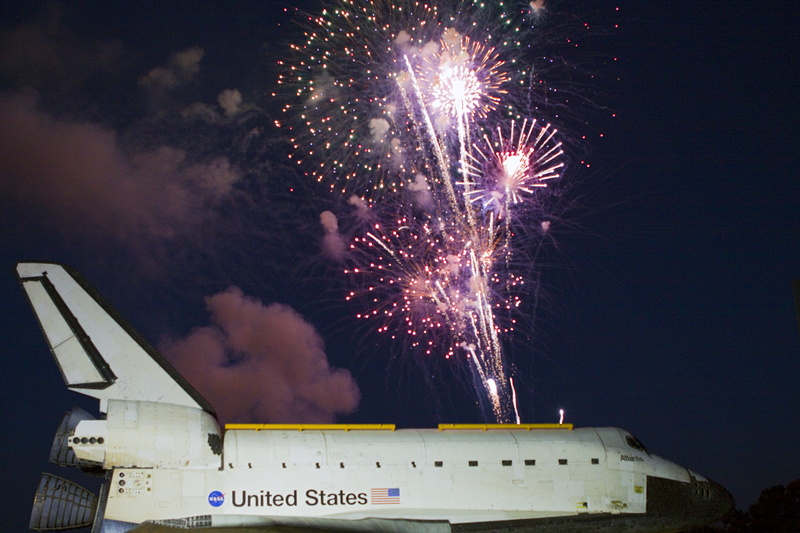 The museum where the shuttle will be housed is scheduled to open in July 2013. 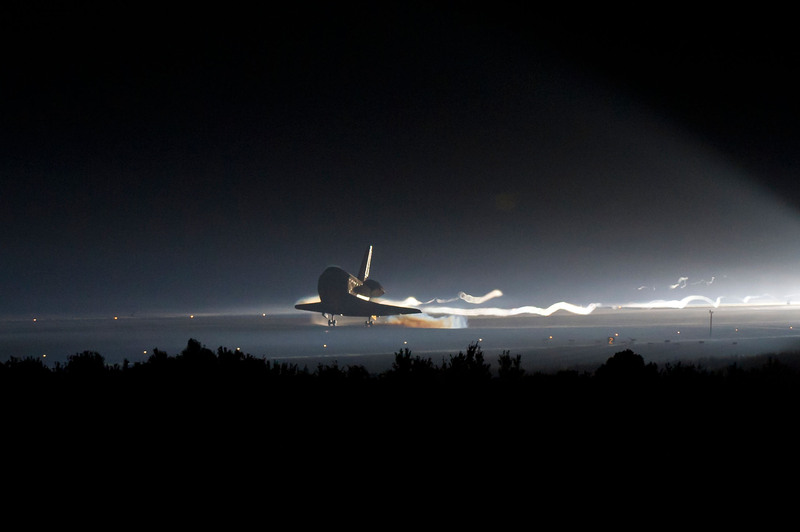 Atlantis completed 33 successful missions. 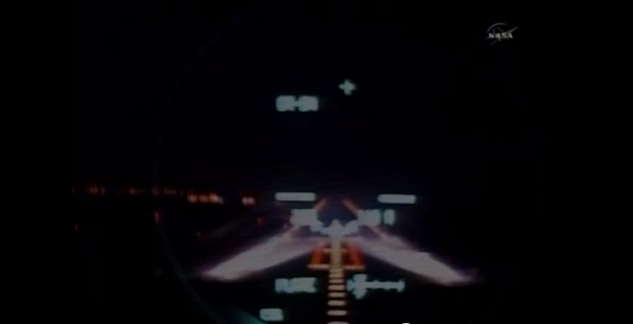 The video shows the landing at Vandenberg Air Force Base in California in infrared and visible light of the Air Force X-37B spaceplane. The Orbital Test Vehicle-2 (OTV-2) touched down at 5:48 AM Phoenix time Saturday (12:48 UTC). 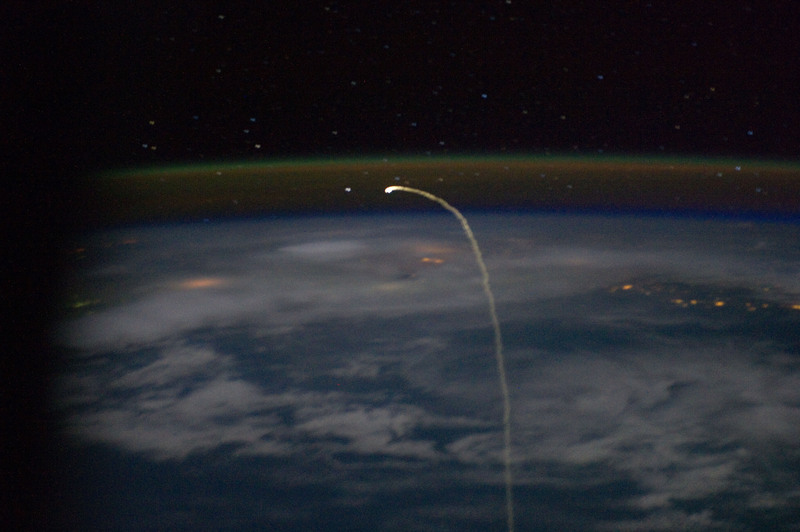 The mystery mission spacecraft was launched on 5 March 2011, and spent 469 days in orbit, exceeding its design mission time of 270 days by 199 days. 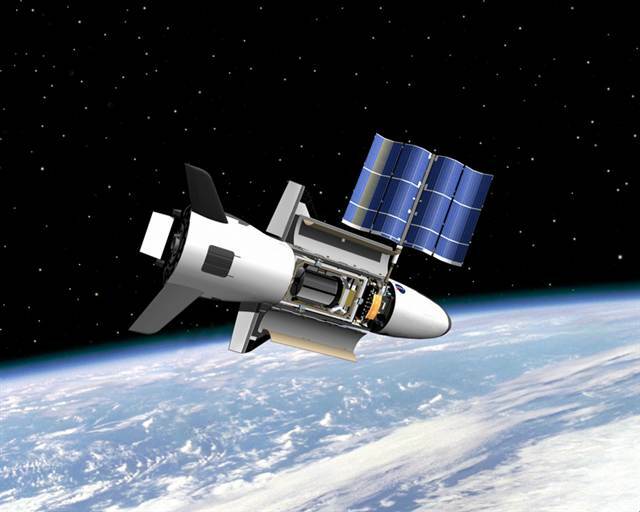 The first X-37B was launched on 22 April 2010 and spent 220 days in orbit before returning on 3 December 2010. 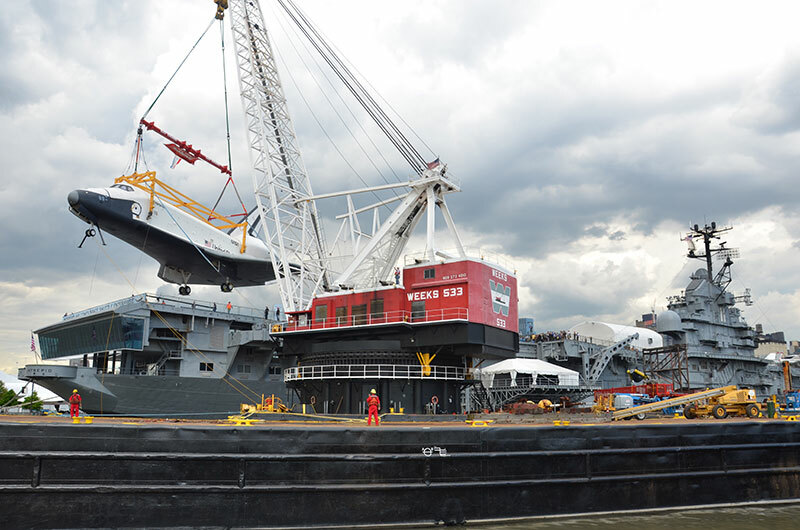 The Space Shuttle Enterprise was hoisted aboard the aircraft carrier Intrepid in New York City Wednesday. It will be on display at the Intrepid Sea, Air & Space Museum. With Enterprise now sitting on its flight deck, the Intrepid will begin work raising a climate-controlled, steel and fabric shelter over the shuttle, to protect it while its on display. The Intrepid’s new “Space Shuttle Pavilion” is set to open to the public on July 19, kicking off a 3-day “SpaceFest” at the museum. 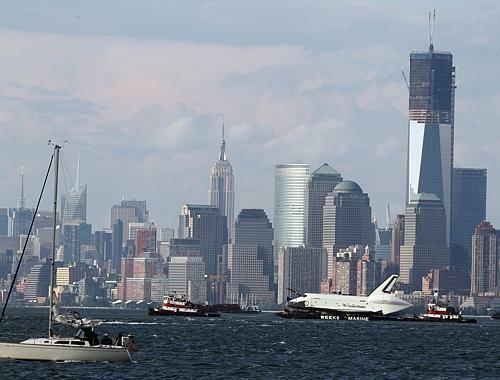 The Space Shuttle Enterprise is on a barge trip up the Hudson River toward its new home on the USS Intrepid. The Intrepid is a World War II aircraft carrier that is home to an air and space museum. Driving up the West Side Highway, you can see an RX-71 Blackbird perched on the edge of the carrier deck, along with a dozen or more other aircraft. The Enterprise is schedule to take up residence there this week, after its stop in New Jersey at Weeks Marine. Installation is scheduled for 6 June. 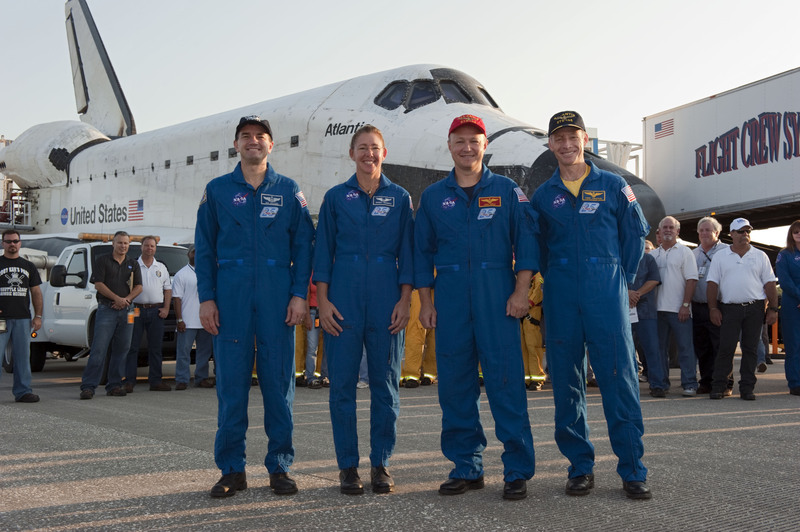 On Tuesday, April 17, between 10 and 11 a.m. EDT, space shuttle Discovery, mounted on the Shuttle Carrier Aircraft (SCA), will fly from Kennedy Space Center to its new home at the National Air and Space Museum, Udvar-Hazy Center. 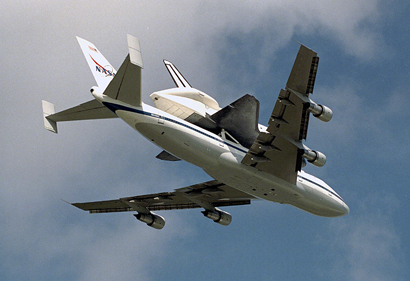 Individuals in the Washington metropolitan area will have the opportunity to see Discovery before it lands at Dulles International Airport. Though the exact route and timing of the flight depend on weather and operational constraints, the SCA is expected to fly at approximately 1,500 feet near a variety of landmarks in the area, including the National Mall, Reagan National Airport, National Harbor and the Smithsonian’s Udvar-Hazy Center. Some publicly accessible locations from which you may be able to “Spot the Shuttle” are listed below. If you take pictures, feel free to post them on the Space Shuttle Discovery Flickr Group and if you’re on Twitter, you can tweet them using the hashtag #spottheshuttle. At 6:44 AM Phoenix time (1344 UTC) launch is about 2 hours away. At the moment we are ‘no go’ due to cloud density over the launch site. 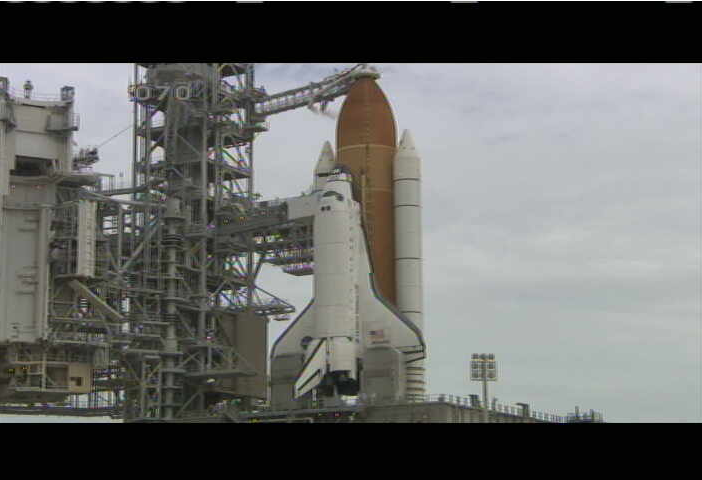 NASA-TV is here, and the Kennedy Space Center video feeds can be found here for weather and pad cameras. The countdown is at T-minus 20 minutes and holding, with a ten minute built in hold. 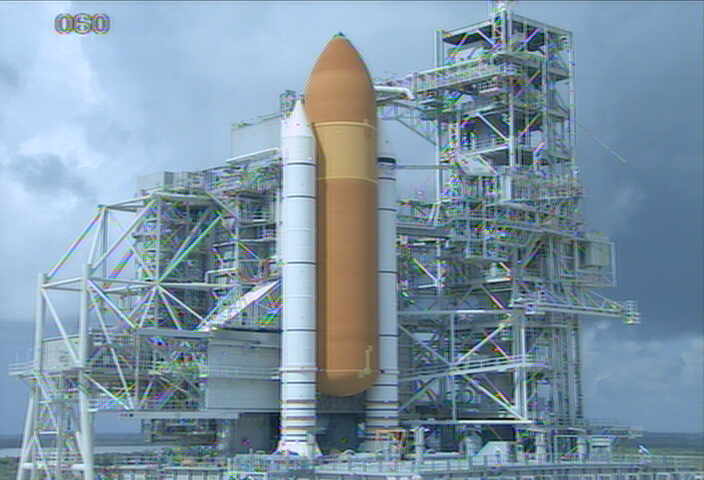 At 7:21 AM Phoenix (1321 UTC) the count has resumed and will go down to T-minus 9 minutes for the next built in hold. Ops Commit Criteria 60 minutes before launch. Weather is now a ‘go’. The Ops Commit Criteria are all green. The launch is now at T-minus 9 minutes, with a 41 minute built in hold. This will set up the launch, with the window opening at 15:22:13 UTC. Poling of the main systems is complete, and everything is go. Steering check of the three main engines. Solid rockets are armed. The auxiliary power units have been started. T-minus 31 seconds and a failure at the moment of hand-off to the internal computer. Retraction of the event arm confirmed. Seven minutes into the flight, all systems are go. At eight minutes we have main engine cutoff and external tank separation. All three APU systems and all three fuel cells are operating normally. 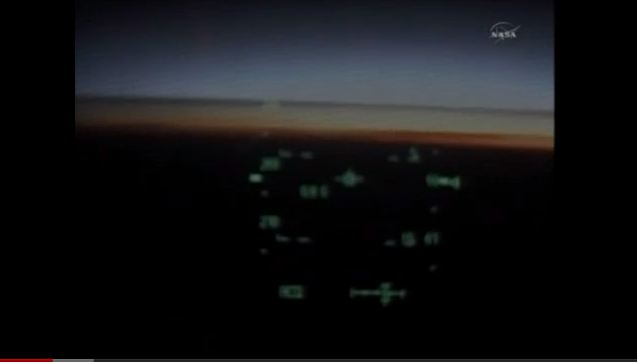 Atlantis will now begin chasing the International Space Station, anticipating docking two days from now.